Exciting inflight all over the world! The Aluflite trolley/cart product range is expertly engineered, achieving maximum weight reduction and exceptional build quality to ensure superb durability during inflight service. Our onboard trolleys/carts include: half size and full size meal and waste trolleys/carts for both ATLAS and KSSU standards. Korita Aviation inflight service trolleys meet the high standards required for operation by today’s airlines and aviation catering companies. Korita Aviation Aluflite trolleys/carts withstand the rigorous daily usage in aircraft galleys and airport catering kitchens. A washing cycle isn't a challenge for Korita Aviation resilience! 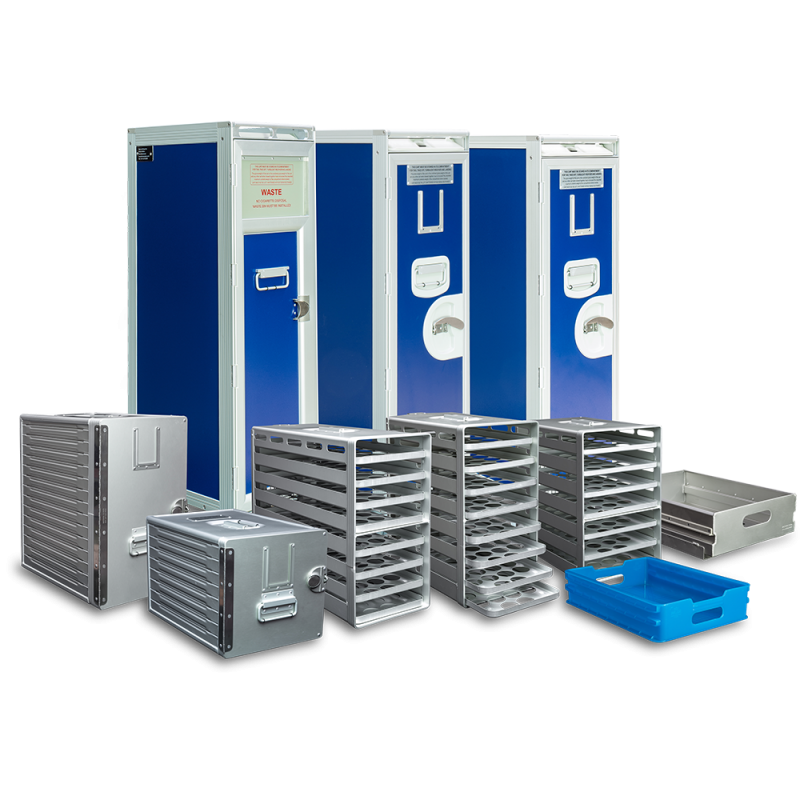 Aluflite containers/standard units are designed to be extremely robust and durable with easy maintenance. The push-to-close locking system is now a well-established design feature benefiting airlines worldwide. Korita Aviation lightweight containers/standard units deliver an innovative practical design. Our expertise in exterior finishing provides the additional benefit of supporting airline branding. Container door finish options include sublimation that give an enhanced level of branding and passenger appeal within the aircraft galley. Our aviation partners love us for supporting them in offering an even greater inflight passenger experience! The Korita Aviation Aluflite range of standard Atlas and KSSU drawers are available in aluminium and polypropylene. We know our aviation partners need a variety of solutions. We do this. Korita aviation manufacture Aluflite drawers with various options ranging from single or multiple runners. Aluflite polypropylene drawers complete our range. Our polypropylene drawers are durable, providing a cost effective alternative to aluminium. Airlines love us for providing the option to emboss or placard their company logo on the drawers. They love us even more for our expertise in doing this! Korita Aviation Aluflite range of oven racks for Atlas and KSSU standards are manufactured from high grade aluminium. Our oven racks and trays are amongst the strongest in the industry. The Aluflite oven rack is designed to withstand 500 lbs/226 kg load without deflection. Korita Aviation has innovatively designed a stopper system that prevents the trays/oven inserts from sliding out of position when the oven rack is tilted. A great safety feature for the cabin crew during inflight service! Korita Aviation designs and manufactures rail catering equipment that includes the inseat rail trolley and the rail catering trolley. Rail operators love our capability to offer both standard or bespoke designs as this enables them to select rail catering equipment that meets the requirements of modern passenger rail service. 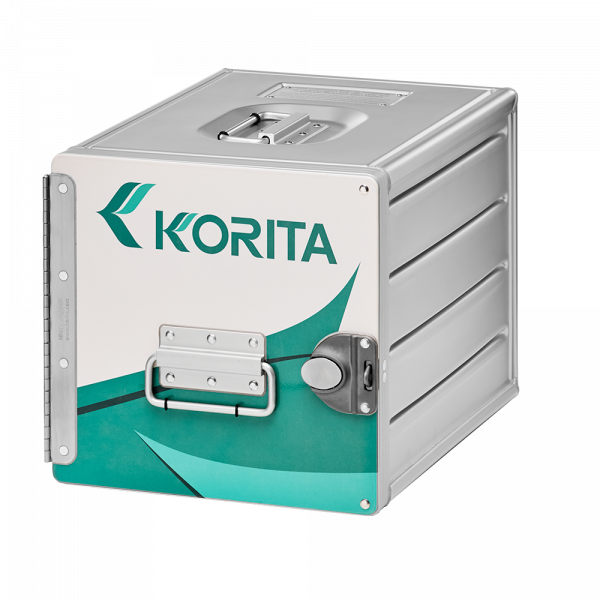 Rail operators adore the Korita Aviation rail container featuring a nesting door that slides into the underside of the top of the container when opened. It's the finest in the rail industry! And, yes this also features the Korita Aviation innovative push-to-close locking system - The ultimate locking system for all rail catering equipment. Korita Aviation rail drawers complete our comprehensive range of rail catering equipment for the finest passenger rail service. Find out what makes us special. Request a quotation today!